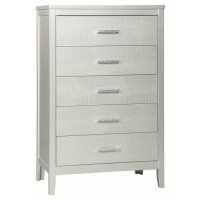 Made with paint grade materials and hardwood solids finished with a metallic silver color. 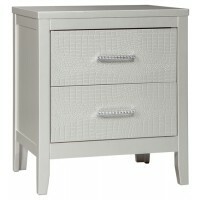 Embossed textural drawer fronts and footboard panel have a modern "Glam" look. 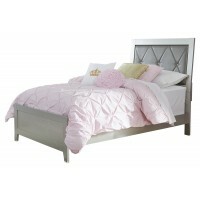 Headboard panel features diamond tufted gray faux leather cover with crystal look buttons. Metal center guide drawers with paper wrapped boxes. Bar pulls with inset faux crystal arrangement. 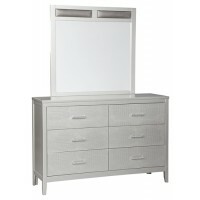 Mirror has decorative upholstered insert with gray faux leather cover. 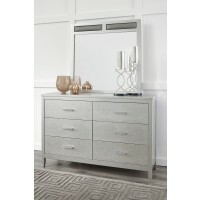 B560-81 footboard dimension: 63"W x 1"D x 19"H. B560-82 footboard dimension: 80"W x 1"D x 19"H. Twin and full panel bed is made with paint grade materials and hardwood solids finished with a metallic silver color. 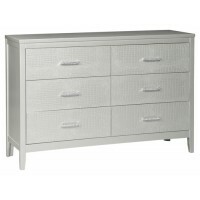 Footboard has embossed textural panel within a simple frame and tapered leg. 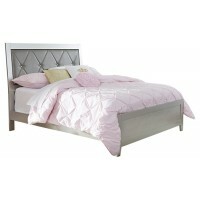 Headboard panel features diamond tufted gray faux leather cover with crystal look buttons. 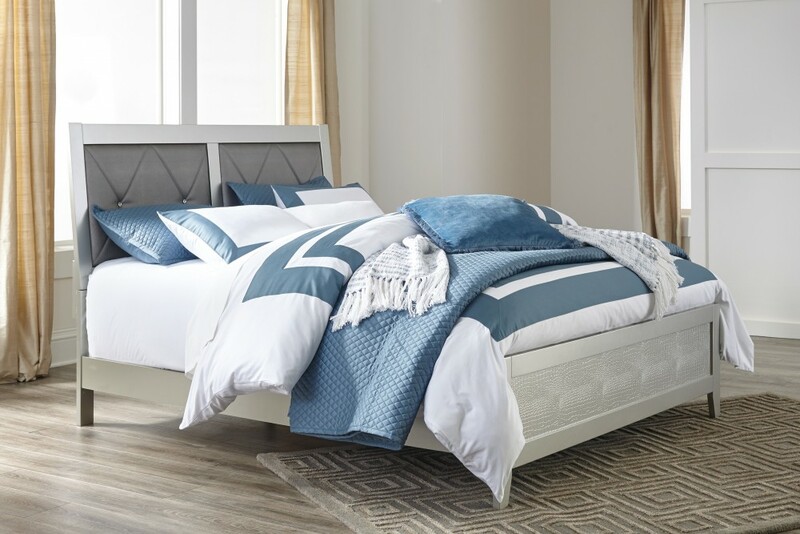 Fully upholstered bed is offered in twin and full sizes and has box stitching and shallow tufting effect with crystal look buttons and delivers in one box.